This 3.2 hectare coffee plantation is sure to take your breath away. Lush gardens, fresh air, and more await you here. 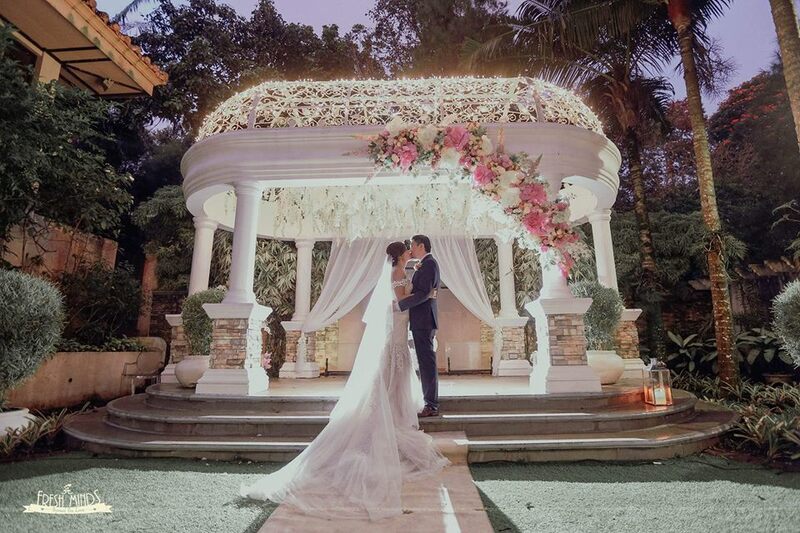 It also takes pride in its gazebo, fish pond, and footbridges that simply add magic to the place. 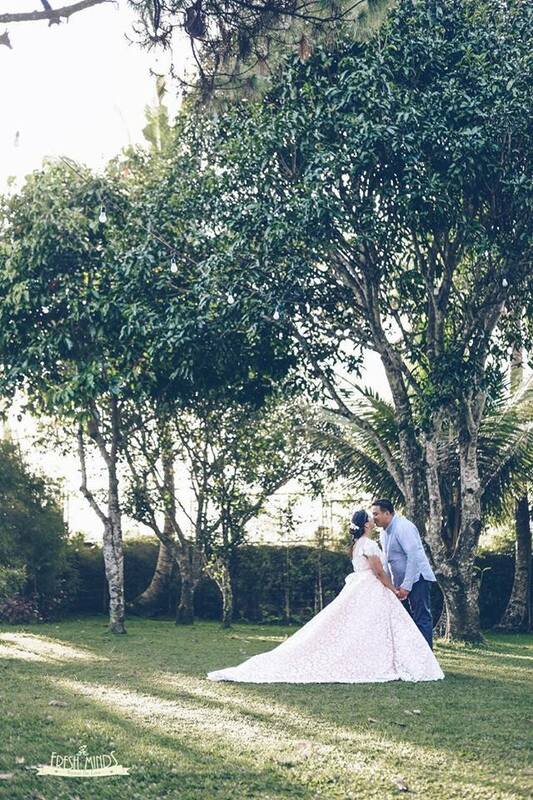 There are also lots of tropical flowers everywhere, so you are assured to have picture-perfect moments here. 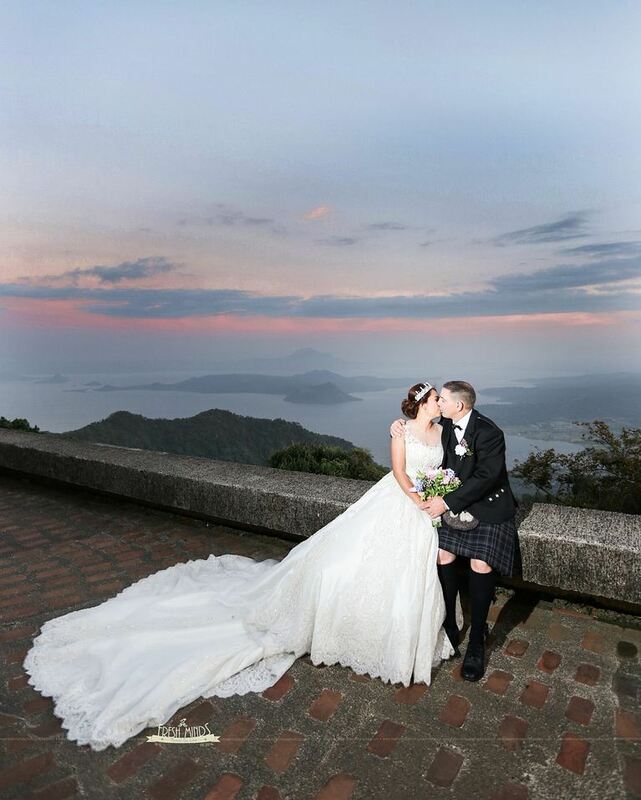 Another wedding venue situated at the heart of Tagaytay is the iconic Taal Vista Hotel. Built in 1939, this English Tudor Mansion-style Hotel offers the perfect blend of classic elegance and modern luxury with its rich heritage and state-of-the-art banquet facilities. 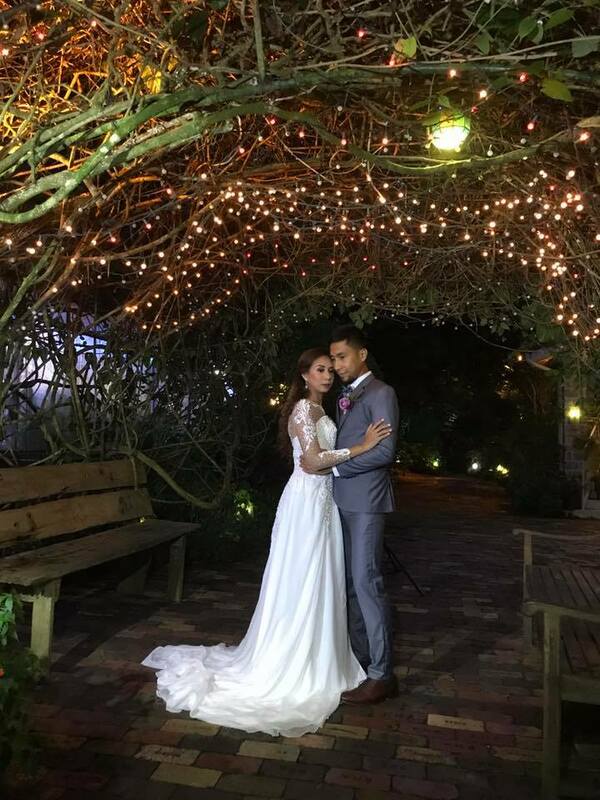 Do you want an epic garden wedding? Mahogany Place Tagaytay is the place to be. 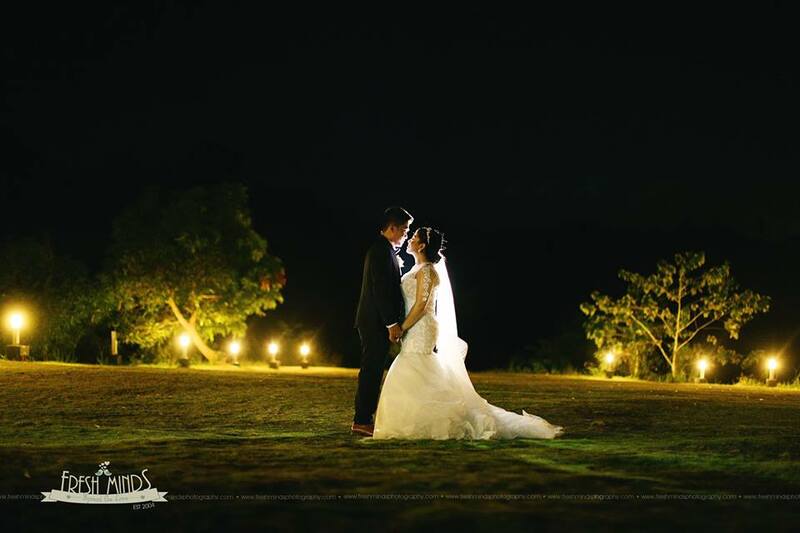 It is a classy place that offers different venues, depending on your needs. You may choose from The Gazebo, Tuscan Garden, and The Grand Atrium. It is also known as an events place that’s romantically-unique. And what better way to celebrate the overflowing of the heart than with the filling of the belly? Dinner had to be served! The table was draped with fine embroidered linen and laden with freshly picked lettuce and arugula, sweet-fleshed mangoes, pineapples, and other fruits in season, and an array of dips and sauces for drizzling over salads and pasta. It was an explosion of flavors and feelings. From this proposal began the public’s love affair with Sonya’s Garden. 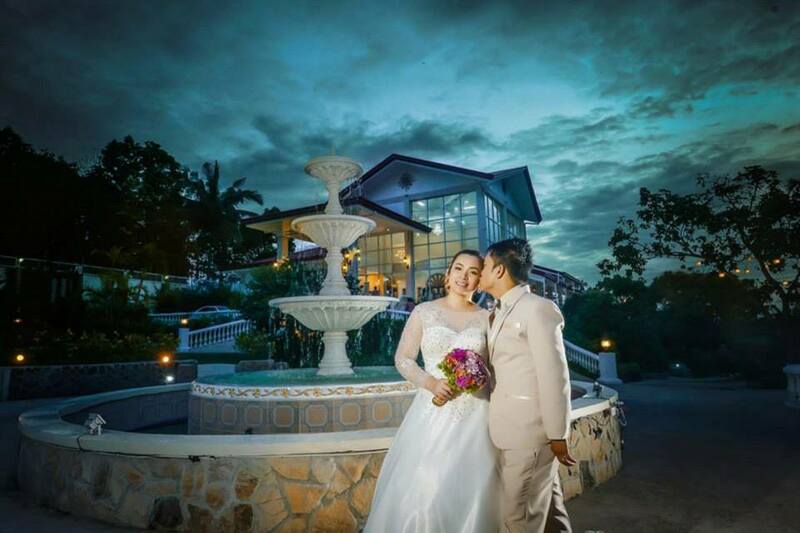 Palm Garden Events Place is one of the most promising garden wedding venue in Tagaytay. 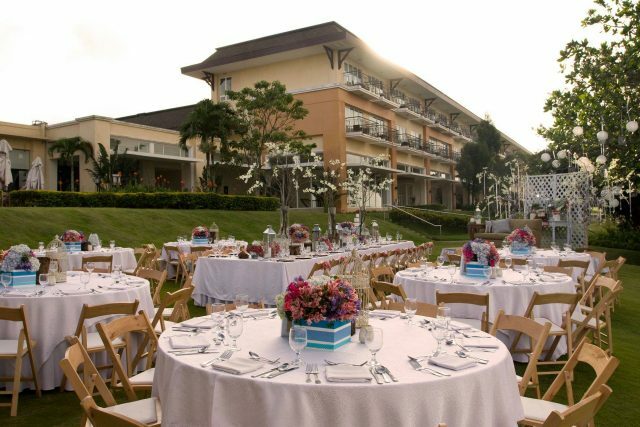 Learn more about these venues by visiting their Kasal.com profiles.